Blumenthal Richter & Sumet (BRS) is a full-service independent law firm that has been operating in Thailand since 1976. The firm advises leading international commercial and industrial enterprises, as well as governments, in-house counsel, and other international law firms with respect to matters in Thailand and Southeast Asia. BRS operates to global standards of ethics, best practice, and business conduct and specializes in the following practice areas: Corporate law; foreign direct investment; real estate and construction; commercial transactions; mergers and acquisitions (M&A); dispute resolution and litigation; tax and customs; tech-media-telecoms (TMT); intellectual property; regulatory compliance; labor and employment; project finance and energy and infrastructure. Auditing and accounting services are provided by two affiliated group companies, enabling close cooperation between legal and finance professionals, as required. 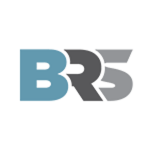 BRS has been ranked consistently as a “Leading Firm” by the legal profession’s foremost independent directories, including Chambers and Partners and The Legal 500. Individual departments and partners have been recognized year-on-year for their outstanding practices and quality of expertise, including corporate/M&A, dispute resolution and litigation, real estate and construction, tax & customs and tech-media-telecoms. Since its incorporation, BRS has worked with a number of international NGOs covering such issues as women’s rights, human rights and animal rights. The firm is a member of TrustLaw, Thomson Reuters Foundation’s global pro bono marketplace, which connects lawyers in more than 175 countries with NGOs and social enterprises that require pro bono legal assistance.